Posted in Events, Happenings. Bookmark the permalink. 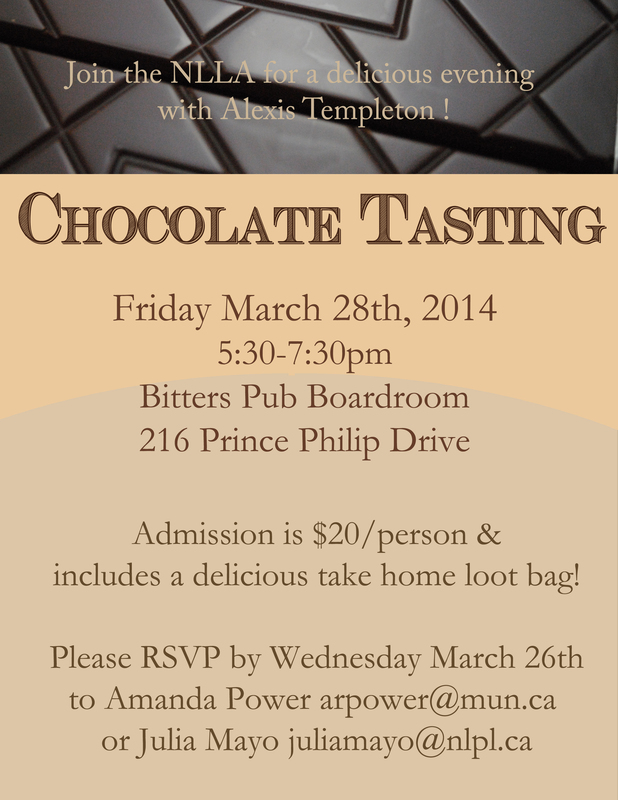 The NLLA is pleased to present our April Happening, Bean to Bar: A Discovery of Chocolate and Dessert Wine, hosted by Alexis Templeton and Tom Beckett. 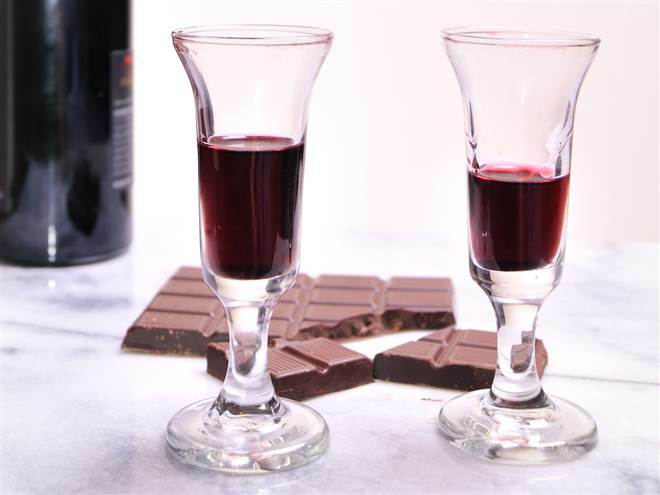 Learn about the chocolate making process, the technique of chocolate tasting and the art of matching wines. The event will take place at the Howley Estates Tasting Room on Friday, April 17 at 7:30 pm. The cost is $29.00 per person. Space is limited (we have 24 spots available) so please RSVP as soon as possible, and by April 9 at the latest. View full menu, including information on reservation and payment procedures, or contact Amanda Power (NLLA Happenings Committee) for more details. 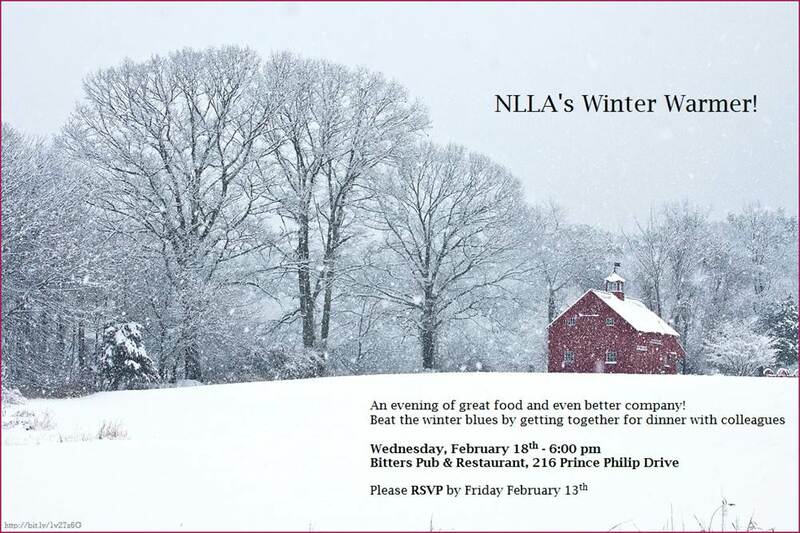 As always, you do not need to be a member of NLLA to attend! 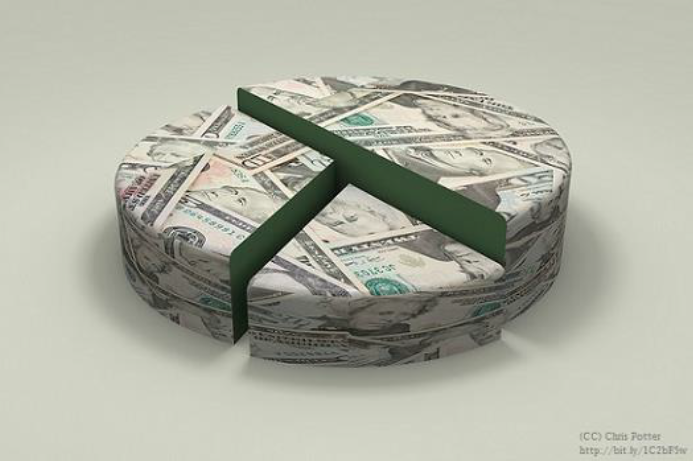 Interested in financial literacy? Join the NLLA and learn from Christine Allum, Manager of Education Programs with the Investor Education Fund in Toronto. Christine will be hosting the Education Institute webinar, Get Smarter About Money, on Tuesday March 31st. The webinar will be shown at the A. C. Hunter Children’s Library at 1:30pm. Please RSVP: Amanda Power or Julia Mayo if you plan to attend. UPDATE: The September Happening has been cancelled. A happening to start the fall off with some creative fun! Please come to the Marjorie Mews Public Library and create a mug of your own, enjoy the company of your library buddies and have some refreshments as well. Everyone brings one wrapped and anonymous gift. The maximum price tag is $5. Participants draw numbers to determine gift unwrapping order. The person who selects #1 goes first and chooses a gift to unwrap. On subsequent turns, each person has the choice of “stealing” any unwrapped item or choosing a wrapped gift from the pile. When a player’s gift is stolen, they must select a replacement gift from the pile of wrapped presents. The game is over when the last person has taken their turn. Some munchies will be provided by the NLLA.